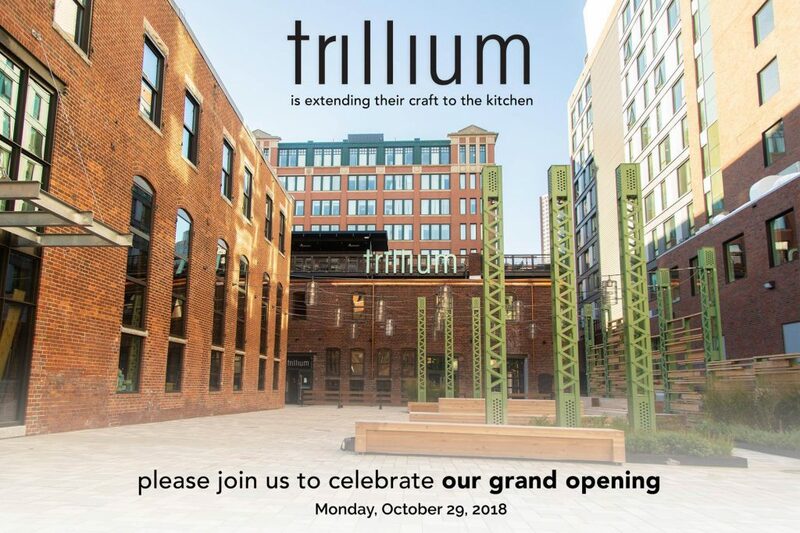 BOSTON – Trillium Brewing Company today announces the opening of their new restaurant and brewery in Boston’s Fort Point neighborhood. The company was founded by JC and Esther Tetreault in 2013 and has since become internationally recognized and regarded as one of the top breweries in the world. Trillium Brewing Company is a New England farmhouse brewery, using local ingredients whenever possible and utilizing both traditional practices and modern re-invention such as brewing with the seasons and producing styles that speak to the region. The opening of their flagship restaurant is a full reflection of their approach to beer. Trillium Fort Point is a fun, casual and relaxed destination to fit a variety of life’s celebratory moments, large or small. The 18,000 square foot space constructed by Whitlock Design Group spans three floors and has a seated capacity of 450 people. The ground level showcases a new retail space and taproom overlooking views of the 10-barrel brewhouse, alongside a 23-seat bar and high-top tables. The second level includes a main dining room with large picture window to the kitchen showcasing a custom wood fired grill from Blue Barn. The second floor also features a private dining room accommodating up to 85 guests. The third floor is a seasonal roof deck with a bar and additional seating. The goal of Trillium Fort Point is to create a communal vibe with food that parallels their same approach to beer. Executive Chef Michael Morway is the culinary force at the helm of the new restaurant. Chef is a strong advocate for approachable and community driven fare and has worked closely with JC and Esther to develop a food program that matches the exceptional quality of Trillium’s beer. The Trillium team shares the same obsession – an insatiable appetite for exploring ingredients and flavor profiles, all of which are showcased on the ever-evolving, farmhouse driven menus. The food menu includes a variety of cold snacks, warm snacks, bowls, trays, entrees, sandwiches and desserts which include gluten free, wheat free and vegetarian options. The restaurant & brewery also features 24 tap lines and bottles from the Trillium Brewing cellar. 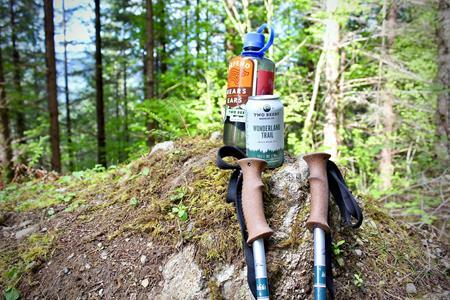 Their beers celebrate a wide spectrum of flavor profiles ranging from roasty, wild & sour, and hoppy, to fresh & frozen. Bottles, cans and growler fills are available to take home from the retail space. Trillium Fort Point Restaurant & Brewery is located at 50 Thomson Place in Boston’s Fort Point neighborhood and is open daily from 11:00 a.m. to 11:00 p.m. For more information, please visit www.trilliumbrewing.com or call857.449.0078.Follow along on Instagram @TrilliumFortPt or @TrilliumBrewing for the latest updates.